Interesting article from DigitalBookWorld.com shows the changing US book market from 2010 to the end of November 2013. 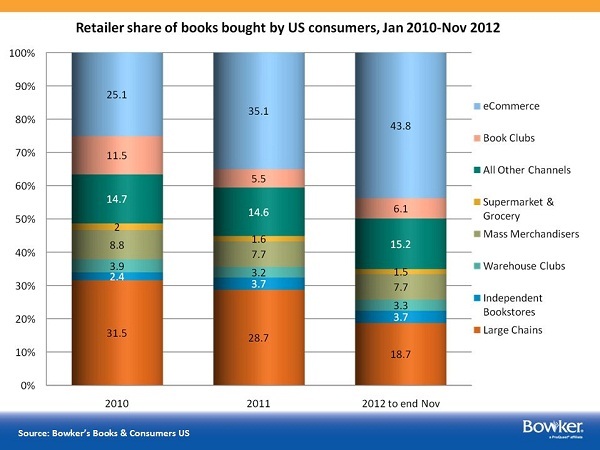 Note the huge increase in book sold online (e-commerce) versus the shrinking share of books bought at large chains. E-Retailers Now Accounting for Nearly Half of Book Purchases by Volume, Overtake Physical Retail | Digital Book World.